Audley Paul Defries was the son of Nathan F. Defries and Jane (family name unknown) Defries. Audley Paul was born in 1832 in Barren County, Kentucky. 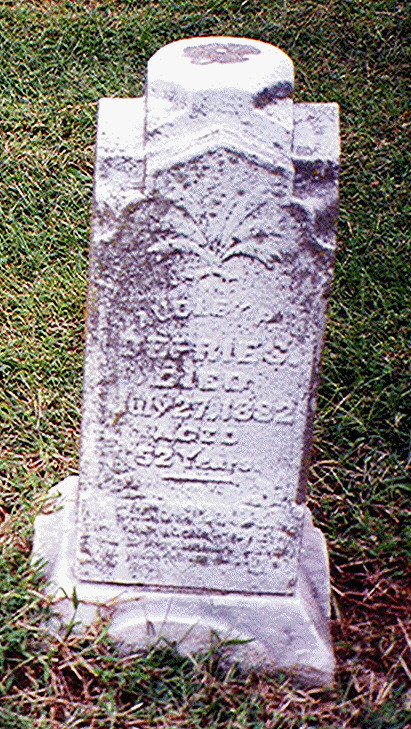 He died on 27 July 1882 and was buried in the Grinter Chapel Cemetery in present Kansas City, Wyandotte County, Kansas. He is believed to be the first Defries to go to Wyandotte County, Kansas, about 1860. As noted, he married Mary Jane Grinter, who was born 3 May 1843 on the Kansas Delaware Reserve, now Kansas City, in Wyandotte County, Kansas. In the 1880 Census for Wyandotte County, Mary Jane [Grinter] Defries is listed at age 37 as keeping house, her father born in Kentucky, and her mother born in Arkansas. [It should be noted that her mother was supposedly born in Ohio, but in the 1880 census she is also reported to have been born in Indiana.] In that census, Audley Paul (erroneously listed as "S. P. Defries") at age 49, was occupied as a farmer born in Kentucky, and his parents were born in Kentucky. [The principal source for the Defries data given hereafter is Genealogy of the Defries Family of Wyandotte County, Kansas by Mrs. Delores Potter of Kansas City, Missouri, published privately possibly in the 1960s. [I have fund some errors on my family and others in this source . If you find errors on yours, let me know, and I will correct them. Editor] This source is the best for the Defrees/Defries/Deforest families beginning with Asher Defrees who married Jane _____. The name of this branch of family originally was De Forrest or spelling variations thereto, then Defrees with various spellings, then Defries with its variations. Other branches of the family have kept the Deforest name as well as Defreest. The children of Audley Paul Defries and Martha Jane Grinter listed herein are described more fully in the biography of Mary Jane Grinter. 1. Harry S. DeFries was born on 23 December 1886. He married Elizabeth Mourning in March 1853. 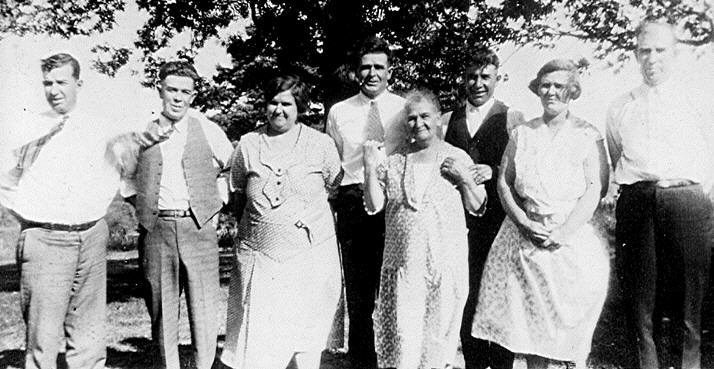 Harry was a farmer in the Stony Point area of present Kansas City, Wyandotte County, Kansas. They had no children. 1. Loretta M. Barger was born 23 August 1923. She married Harry Lanham. 1. Nathan L. DeFries was born on 26 January 1926. 2. Mary C. DeFries was born on 14 June 1929. She married Henry Giledorf. 3. Ann Marie DeFries was born on 16 January 1935. She married Larry Cooper. 4. Marion DeFries was born on 12 November 1891. He was killed in a hunting accident. 1. Loretta DeFries was born 3 August 1929. She married Glen Urich. 2. N. Jean DeFries was born 1 January 1933. She married Zeb Wright. 3. Gary Edward DeFries was born on 3 April 1927. He married _______ Riedum. 1. Doris C. DeFries was born on 11 June 1937. 7. Ruel Emory DeFries was born on 26 March 1897. He was killed in World War I on 18 September 1918. 8. Elsie G. DeFries was born on 2 January 1899. She married Everett Bruner. 3. Carolyn Sue DeFries (Data on file) She married Craig Barnes. 4. Evelyn Pearl DeFries (Data on file) She married Tom Harris. 1. Shirley Sue DeFries was born 5 February 1931. She died on 27 March 1932. 2. Patsy Jean DeFries Data on file) She married Marvin Kroh. 1. Diane DeFries (Data on file). 4. 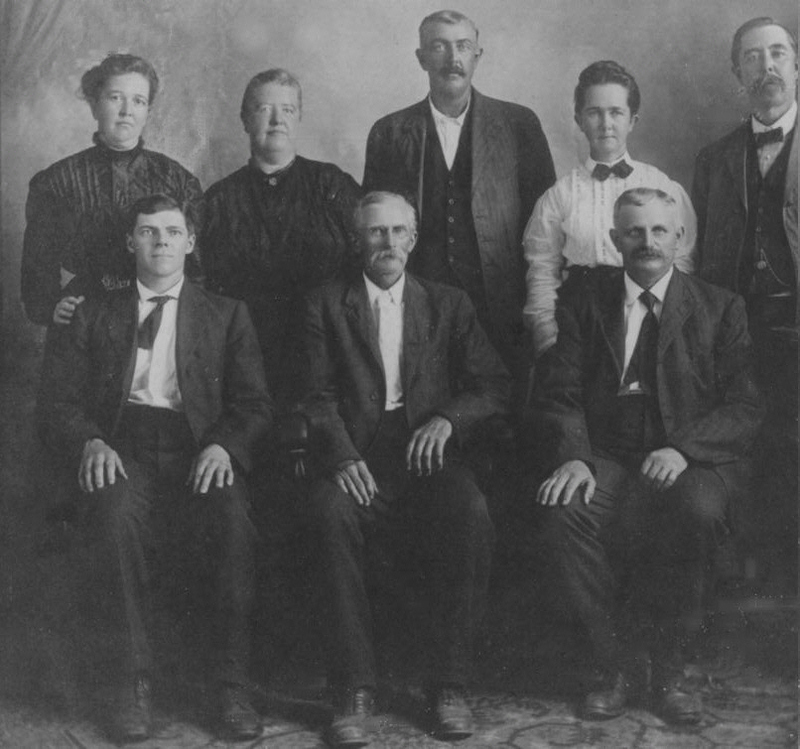 Moses Reed DeFries was born in June 1871 in Wyandotte County, Kansas. He was a bachelor. 1. Paul Snyder was born on 2 February 1900. He had no children. 3. Azellia Snyder was born 21 March 1907. 4. Winnie Snyder was born in December 1909. 5. Gerald Snyder was born on 16 November 1911. He married Bonnie Davis. They had one son [?]. 6. Myrtle Snyder was born on 27 November 1915. She married Robert Donovan.